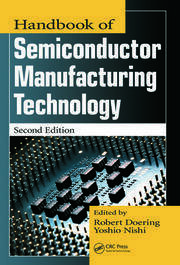 Starting with the simplest semiclassical approaches and ending with the description of complex fully quantum-mechanical methods for quantum transport analysis of state-of-the-art devices, Computational Electronics: Semiclassical and Quantum Device Modeling and Simulation provides a comprehensive overview of the essential techniques and methods for effectively analyzing transport in semiconductor devices. With the transistor reaching its limits and new device designs and paradigms of operation being explored, this timely resource delivers the simulation methods needed to properly model state-of-the-art nanoscale devices. The first part examines semiclassical transport methods, including drift-diffusion, hydrodynamic, and Monte Carlo methods for solving the Boltzmann transport equation. Details regarding numerical implementation and sample codes are provided as templates for sophisticated simulation software. The second part introduces the density gradient method, quantum hydrodynamics, and the concept of effective potentials used to account for quantum-mechanical space quantization effects in particle-based simulators. Highlighting the need for quantum transport approaches, it describes various quantum effects that appear in current and future devices being mass-produced or fabricated as a proof of concept. In this context, it introduces the concept of effective potential used to approximately include quantum-mechanical space-quantization effects within the semiclassical particle-based device simulation scheme. Addressing the practical aspects of computational electronics, this authoritative resource concludes by addressing some of the open questions related to quantum transport not covered in most books. Complete with self-study problems and numerous examples throughout, this book supplies readers with the practical understanding required to create their own simulators. Each chapter concludes with "Problems" and "References"
Dragica Vasileska received the B.S.E.E. (Diploma) and the M.S.E.E. Degree form the University Sts. Cyril and Methodius (Skopje, Republic of Macedonia) in 1985 and 1992, respectively, and a Ph.D. Degree from Arizona State University in 1995. From 1995 until 1997 she held a Faculty Research Associate position within the Center of Solid State Electronics Research at Arizona State University. In the fall of 1997 she joined the faculty of Electrical Engineering at Arizona State University. In 2002 she was promoted to Associate Professor and in 2007 to Full Professor. Her research interests include semiconductor device physics and semiconductor device modeling, with strong emphasis on quantum transport and Monte Carlo particle-based device simulations. She is a Senior Member of both IEEE and APS. Prof. Vasileska has published more than 130 publications in prestigious scientific journals, over 80 conference proceedings refereed papers, has given numerous invited talks and is a co-author on a book on Computational Electronics with Prof. S. M. Goodnick. She has many awards including the best student award from the School of Electrical Engineering in Skopje since its existence (1985, 1990). She is also a recipient of the 1999 NSF CAREER Award. Her students have won the best paper and the best poster award at the LDSD conference in Cancun, 2004. Dragica Vasileska is a Senior Member of IEEE and is listed in Strathmore’s Who’s-Who. Stephen M. Goodnick (M’88–SM’91–F’04) received the B.S. degree in engineering science from Trinity University, San Antonio, TX, in 1977 and the M.S. and Ph.D. degrees in electrical engineering from Colorado State University, Fort Collins, in 1979 and 1983, respectively. He was an Alexander von Humboldt Fellow with the Technical University of Munich, Munich, Germany, and the University of Modena, Modena, Italy, in 1985 and 1986, respectively. He was a faculty member with the Department of Electrical and Computer Engineering, Oregon State University, Corvallis, from 1986 to 1997. He was a Professor and the Chair of the Department of Electrical Engineering, Arizona State University, Tempe, from 1996 to 2005, was the Deputy Dean for the Ira A. Fulton School of Engineering from 2005 to 2006, and is the Director of the Arizona Institute for Nanoelectronics. In 2006, he was appointed as the Associate Vice President for Research with Arizona State University. He is a coauthor of more than 165 journal articles, books, and book chapters related to transport in semiconductor devices and nanostructures. Dr. Goodnick was the President of the Electrical Computer Engineering Department Heads Association from 2003 to 2004 and was the Program Chair for the Fourth IEEE Conference on Nanotechnology in Munich in August 2004. Gerhard Klimeck is the Director of the Network for Computational Nanotechnology at Purdue University and a Professor of Electrical and Computer Engineering. He guides the technical developments and strategies of nanoHUB.org which served over 89,000 users worldwide with on-line simulation, tutorials, and seminars in the year 2008. He was the Technical Group Supervisor of the High Performance Computing Group and a Principal Scientist at the NASA Jet Propulsion Laboratory. Previously he was a member of technical staff at the Central Research Lab of Texas Instruments where he served as manager and principal architect of the Nanoelectronic Modeling (NEMO 1-D) program. 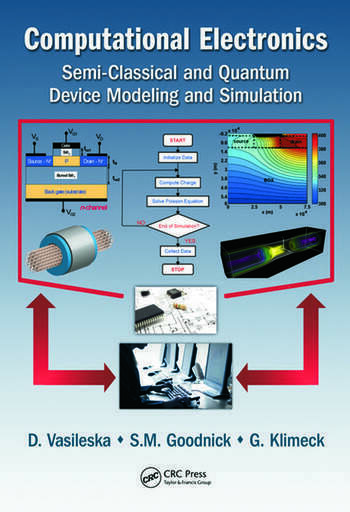 NEMO 1-D was the first quantitative simulation tool for resonant tunneling diodes and 1D heterostructures. At JPL and Purdue Gerhard developed the Nanoelectronic Modeling tool (NEMO 3-D ) for multimillion atom simulations. NEMO 3-D has been used to quantitatively model optical properties of self-assembled quantum dots, disordered Si/SiGe systems, and single impurities in Silicon. At Purdue his group is developing a new simulation engine that combines the NEMO 1-D and NEMO 3-D capabilities into a new code entitled OMEN. Prof. Klimeck¹s research interest is in the modeling of nanoelectronic devices, parallel cluster computing, and genetic algorithms. Dr. Klimeck received his Ph.D. in 1994 on Quantum Transport from Purdue University and his German electrical engineering degree in 1990 from Ruhr-University Bochum. Dr. Klimeck¹s work is documented in over 120 peer-reviewed journal and 115 proceedings publications and over 120 invited and 250 contributed conference presentations. He is a senior member of IEEE and member of APS, HKN and TBP.